Super Smash Bros. Ultimate is out now, but Shacknews' Ultimate Character Profiles continue! Next up: Show me your moves! The time has arrived! Super Smash Bros. Ultimate, the latest chapter in Nintendo's ongoing premier platform fighter series, is out now! After almost 20 years of battle between top characters of some of gaming's biggest franchises, Ultimate has brought together every single fighter from every Smash Bros. game to date, along with a few surprises, in one single game. Yes, the game may be out, but with so many characters to choose from, Shacknews remains committed to taking a look at each and every one of the Super Smash Bros. Ultimate characters individually. And we will continue to do so beyond the game's big release. Today, we look at another alumni from the original Super Smash Bros. He wants to show you his moves! Ah, F-Zero. Every since Mario Kart exploded as Nintendo's premier racer of choice, the futuristic racer has been left in the dust. But its central character lives on. 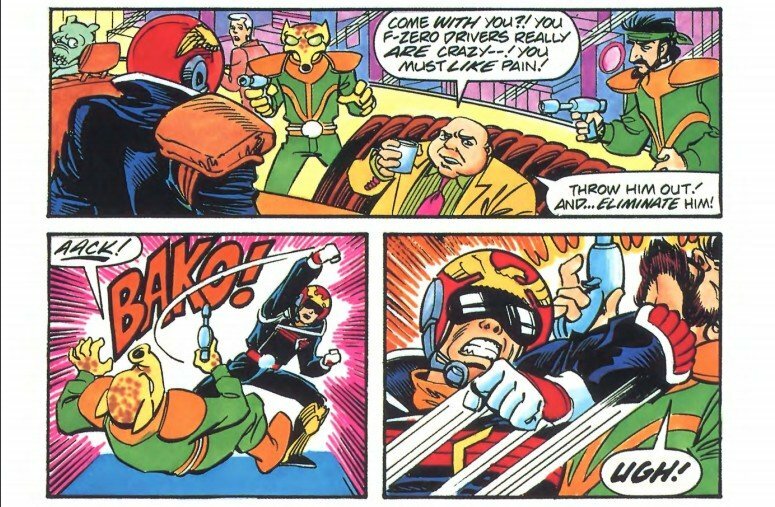 Before he became one of the very faces of Super Smash Bros., Captain Falcon was recognized as one of the top racers of the F-Zero Grand Prix. But it isn't enough to be the best racer of the future. He's also a bounty hunter who isn't afraid to crack skulls. In some cases, almost literally. 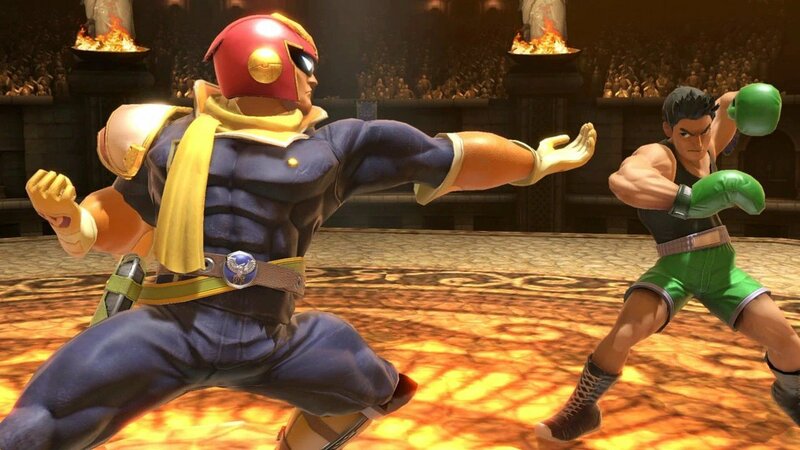 While the F-Zero franchise has been dormant for over a decade, Captain Falcon's notoriety has never been better, thanks to the Super Smash Bros. series. His Falcon Punch is the game's most recognized move and people will never tire of one of the game's signature taunts, "Show me your moves!" Falcon isn't just fast on the track. He's one of the fastest characters in Super Smash Bros. Throughout the series, he's brought along unorthodox movement, with some odd recovery moves, and that aspect of him hasn't changed. But now, he looks to be better than ever, with all of his speed stats boosted from the previous Smash Bros. game. 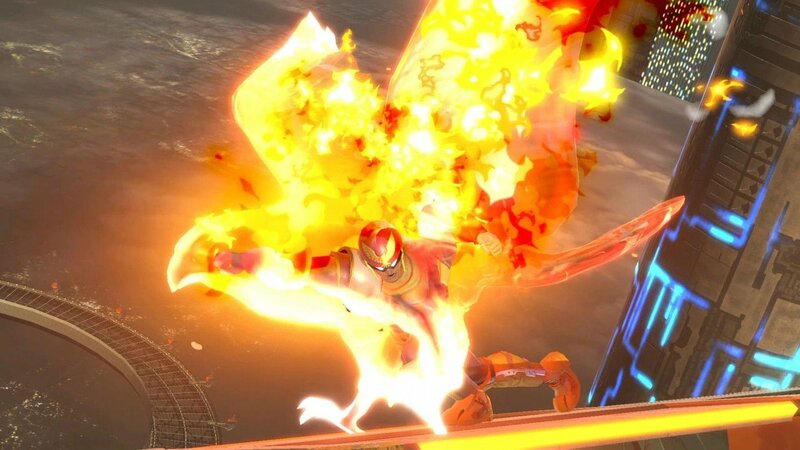 Falcon Punch (Neutral B): If you don't know this move, you're clearly new to the world of Smash Bros. Captain Falcon will slowly wind up and engulf himself in Falcon-y flames before shouting "FALCON...PUNCH!" and releasing with a powerful strike. It's not only iconic, but it's also one of the most powerful neutral specials in the game. It's incredibly hard to land, but if it does hit, it causes massive damage and can KO at high percentages. 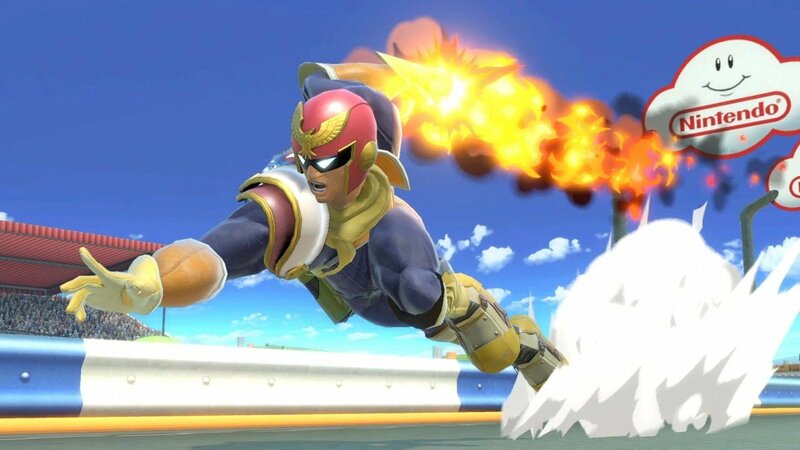 Falcon Dive (Up B): Falcon leaps up in the air, grabbing any opponent in his range and launching them with a quick explosion. It's one of the weaker recovery moves in the game, albeit one that's slightly improved in Ultimate. If you can catch an opponent on the way up with this move, you can use it again. Raptor Boost (Side B): Falcon dashes forward and strikes with an uppercut. Once he goes, there's no cancelling this move. But it's quite strong, with the grounded version able to KO at high percentages and the aerial version carrying Meteor Smash properties. Falcon Kick (Down B): This is another powerful special move, with Falcon striking ahead with a flaming boot. While the grounded version has KO potential, Falcon Kick also acts as a dive kick. Either version of the move deals moderate damage. Blue Falcon (Final Smash): The Blue Falcon racer will crash into any opponents surrounding Falcon, setting in motion a quick cutscene of F-Zero racers plowing into those opponents. This will KO most opponents. Falcon's increased speed makes him a much more dangerous opponent. On top of his base speed stats getting a boost, his aerials are all improved. Most notably, there's the Knee Smash, his forward-air, which now deals greater damage. On top of that, because Ultimate makes it so that fighters can't run through their opponents anymore, landing grab-Knee Smash combos is now much easier. Falcon's biggest weakness is still his subpar recovery, but Falcon Dive itself has received a couple of noteworthy buffs. For one thing, it covers a greater range. But it also deals much more damage, making it a potential finisher to add to Falcon's array of finishers that he already has. The very first competitive Smash player to turn to regarding any conversation about Captain Falcon is Griffin "Fatality" Miller, widely considered the top Falcon player in the world. Fatality was offering his impressions on Falcon from the moment he was able to jump on the Ultimate demo, offering up his earliest impressions. After getting sufficient time with the character, Fatality went into a much more detailed breakdown of Falcon. Here, he offers frame analysis, first-hand observations, and observations from the Falcon Discord group, noting that much of Falcon's move set has been greatly improved. Next, we turn to top Smash 4 player Gonzalo "ZeRo" Barrios. While he's known for his Diddy Kong, followers of the Smash 4 scene know he's got a mean Falcon himself. ZeRo does note that Falcon's combo game is slightly weaker, thanks to the ability to tech footstool combos. On top of that, he notes that Falcon's down-throw isn't quite the same as it used to be. And that's bad news for anyone who was living off the down-throw/Knee Smash combo. He also goes into the trade-offs with the new Ultimate engine, noting that it's both good and bad for this character. Lastly, we turn to the folks at Smash Studios. They brought in streamer YungFalcon to offer his full analysis on what to expect from Ultimate's Captain Falcon. In particular, he notes Falcon's potential as a combo character, offering up some valuable beginner combos for those just starting out. Super Smash Bros. Ultimate is out now on Nintendo Switch. We're still going through every single character, so be sure to check back in often for more profiles. For additional information concerning Nintendo's newest brawler, be sure to head over to Shacknews' Super Smash Bros. Ultimate walkthrough and guide.